Investors wanting to buy the best utilities ETFs are usually looking for income, growth, diversification, or some combination of those investment objectives. Utilities stocks tend to pay above-average dividends, they have good long-term returns, and they can outperform the market during times of volatility. This is why exchange-traded funds (ETFs) that invest in utilities can be smart investment tools. Utilities ETFs are passively-managed index funds that track a benchmark utilities index, such as the MSCI USA IMI Utilities Index. Because they are passively-managed, the expense ratios for ETFs tend to be significantly lower than actively-managed ETFs. This gives investors wanting to invest in stocks in the utilities sector a convenient, low-cost, diversified means of accessing those stocks. Income from Dividends: Utilities stocks generally pay higher dividends than stocks representing other sectors. This makes utilities ETFs attractive to investors, such as those in retirement, who want income from their investments. Long-term Growth: Utilities stocks are not typically categorized as growth stocks but they have historically produced long-term returns comparable to a major market index, such as the S&P 500. Since utilities stocks can provide long-term growth, generally with less market risk than aggressive growth stocks, they may be attractive to conservative investors. Diversification: Sector funds are often used as diversification tools by adding exposure to a certain area of the market that an investor's portfolio may be lacking. Since most mutual funds tend to hold higher relative concentrations of growth sectors like technology and health, adding a utilities ETF can add diversity to a portfolio. Sometimes investors like to use utilities ETFs as defensive investment tools. This is because utilities stocks don't tend to decline in value as much as the more aggressive areas of the market. Therefore, a utilities ETF may be used as part of a defensive investment strategy when a bear market is expected in the near future. Investors looking for income will often look at SEC Yield for utilities ETFs before buying. This yield is based on the 30-day period ending on the last day of the previous month. 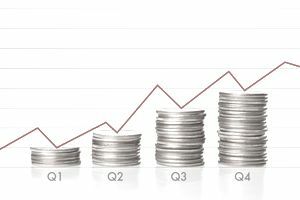 The yield figure reflects the dividends and interest earned during the period, after the deduction of the fund's expenses. However, the highest yielding utilities ETFs are not always the best performers. To find the best utilities ETFs, most investors are wise to look for a combination of yield and low expenses. While performance is certainly a consideration, ETFs are passively managed, which means that the performance will closely mirror that of the benchmark index making long-term returns a secondary consideration. The best utilities ETFs will have a combination of high yield and low expenses. Also, when buying ETFs in general, it's wise to look for funds that have a long history and a large asset base. This provides a good record to show the fund's ability to track its index and the high relative assets under management allows for greater liquidity. Vanguard Utilities ETF (VPU): If you're looking for a solid combination of yield and low expenses, VPU is an outstanding choice. VPU tracks the MSCI US IMI Utilities Index, which consists of about 70 US utilities stocks, such as NextEra Energy and Duke Energy Corp. The current yield is 3.19% and the expense ratio is 0.10% or $10 for every $10,000 invested. Utilities Select Sector SPDR (XLU): With $7.7 billion under management, XLU is the largest ETF, as measured by assets. The target benchmark for XLU is the Utilities Select Sector Index, which includes many of the same holdings as VPU and other utilities ETFs, although a bit more concentrated at 29 holdings. The 30-day yield for XLU is 3.19% and the expense ratio is 0.13%. Fidelity MSCI Utilities Index (FUTY): If low expenses are your priority, you'll like what you see in FUTY, which has an expense ratio of 0.08%, or $8 for every $10,000 invested. Like Vanguard's VPU, FUTY tracks the MSCI US IMI Utilities Index, which includes 70 US utilities stocks. The 30-day yield for FUTY is 3.06%. Utilities ETFs can be a smart way to add income-producing stocks to a portfolio. As with other concentrated funds that focus on one sector, it's wise not to allocate a large percentage of your assets to a utilities fund. Generally, 5% to 10% is a good allocation for one sector.